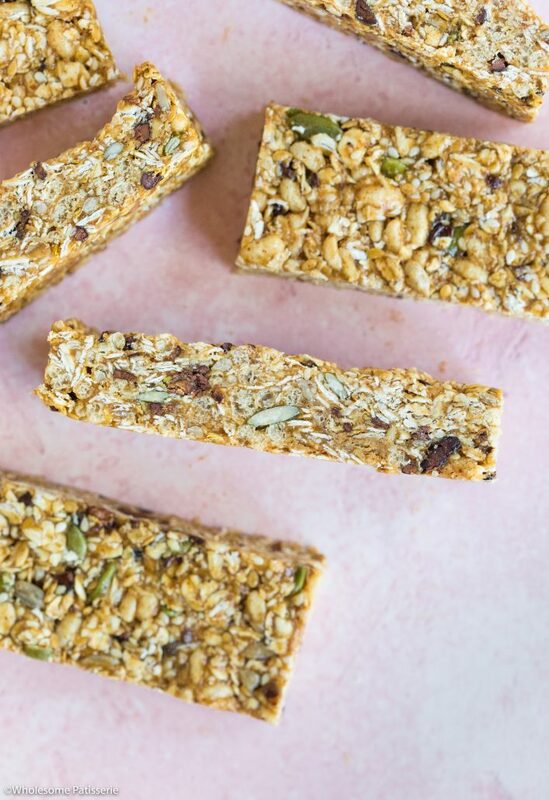 Celebrating the end of the week with these incredible No-Bake Seeded Granola Bars! Seriously simple and packing a punch with nutrients to nourish your body. 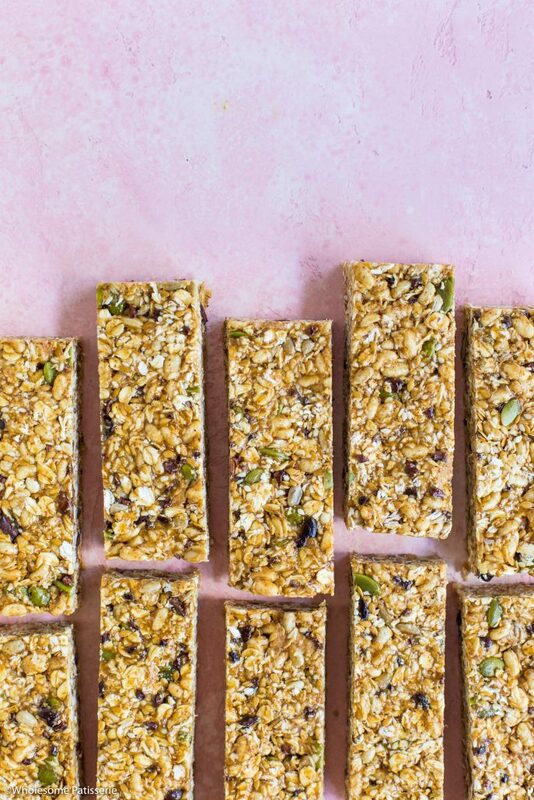 Have you always struggled a little when it comes to making the perfect granola bar? With a focus on texture? One of my pet-peeves with granola bars are those ones that crumble unnecessarily, you know what I mean? 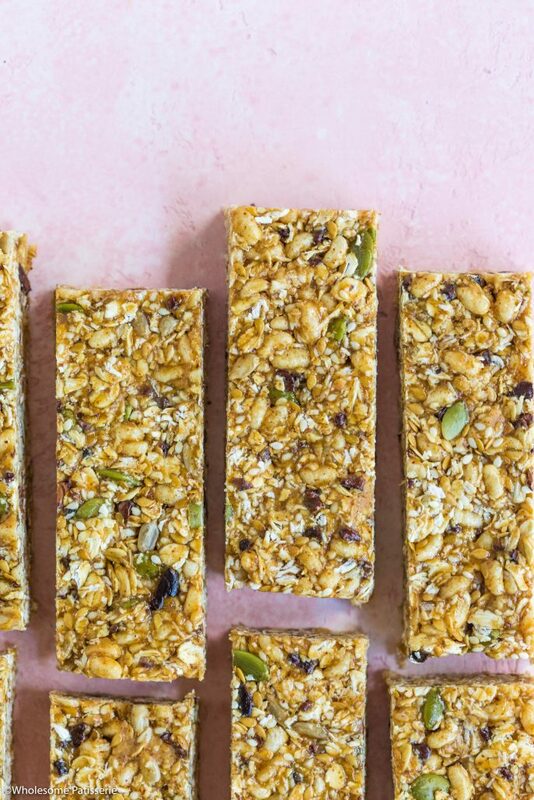 When you go to all of that effort to make yourself a batch of healthy delicious granola bars and when you go to cut them, they crumble more than they stay together? I’m guessing we all know that feeling too well? Well, I think I figured out a method to avoid that altogether, don’t bake them! Look, you can of course make baked versions, I just believe those varieties need so much more of the liquid part of the recipe to help them hold together. Also, coconut oil isn’t always the best to keep the bars sticking together, just from personal experience. 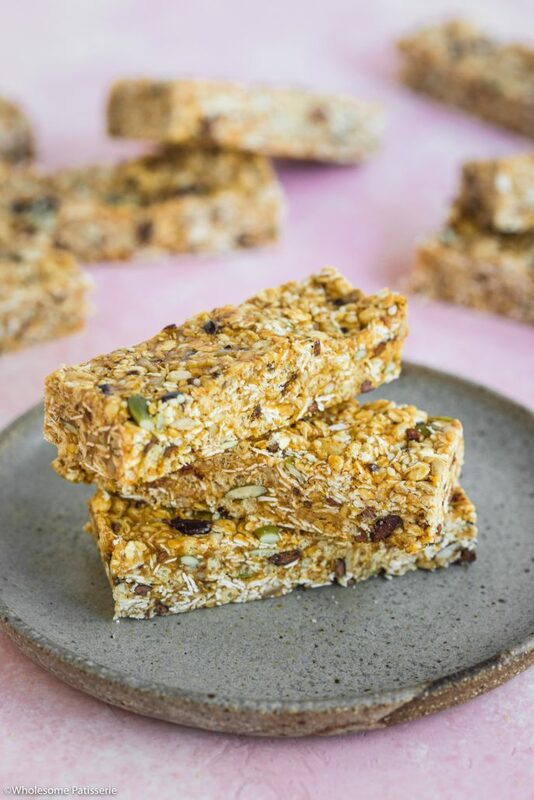 Look no further than these no-bake seeded granola bars friends! Guess what?! They only have 2 liquid ingredients: almond butter & rice malt syrup! Almond butter because duh, healthy protein and fats! Plus rice malt syrup because honey and maple syrup are a little too sweet, but if that’s your thing, you can add a little of either of those for extra sweetness. These granola bars are not sweet! They’re there to focus on nutrition from all of those powerful seeds. The rice malt syrup and cocoa nibs offer a little, but, not really 😉 I still think you’ll absolutely devour these though! They also provide you with energy – woohoo! Line a 9” x 9” square baking pan with parchment paper, set aside. In a small pot over low-medium heat, combine almond butter and rice malt syrup. Using a wooden spoon, continue to mix until well blended and melted through. Ensuring mixture doesn’t bubble. Once completely smooth, remove from heat and set aside. In a large mixing bowl, combine oats, rice puffs, sesame seeds, flax seeds, sunflower kernels, pumpkin seeds and cacao nibs. Mix well. Pour melted almond butter mixture over the dry ingredients, incorporating everything well using a wooden spoon. Ensuring all dry ingredients have been coated. Press mixture into lined pan, evening out the top using your hands or a spatula. Place in the refrigerator for 30 min - 1 hour or until firm and cool. 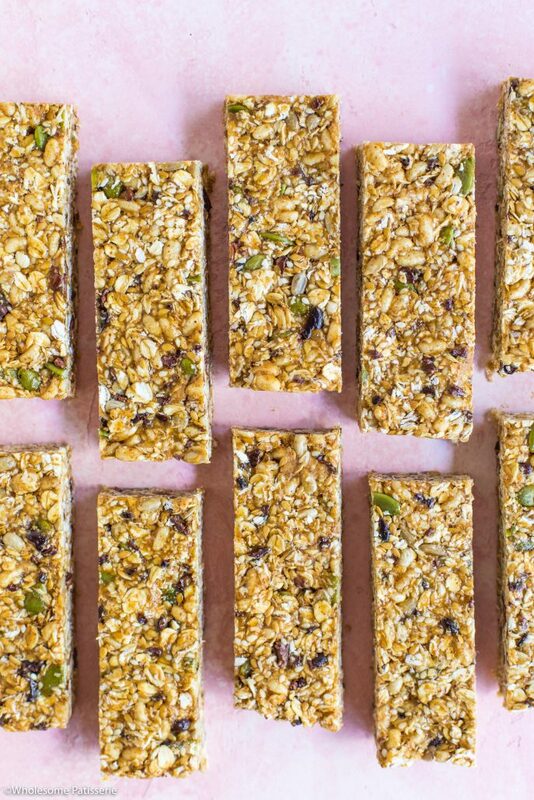 Remove from pan and carefully slice into long granola bars. Store in an airtight container, in the pantry or refrigerated for a firmer bar, for 1 week.